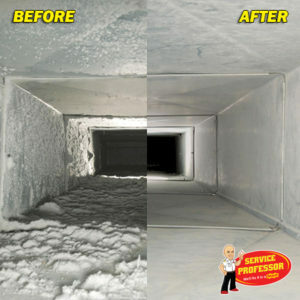 CLEAN AIR DUCTS FOR A CLEANER HOME! The average home collects up to 40 pounds of dirt, dust, and allergens each year. When your heating and cooling system runs, these pollutants are circulated through your home, potentially aggravating asthma and other respiratory conditions. The professionals at Service Professor can remove many of these contaminants, improving your indoor air quality and making your system more energy efficient! Did you know that dirty dryer vents are a leading cause of dryer fires in the United States? Protect your home and family by having our trained professionals maintain your dryer vent once a year. Your dryer will operate more efficiently with a clean vent and you’ll rest at night knowing your family is safe. Expires: Jun 22nd, 2019 View Coupon Cannot be combined with other offers. 1 waived dispatch fee per household. Residential use only. Show at time of service.